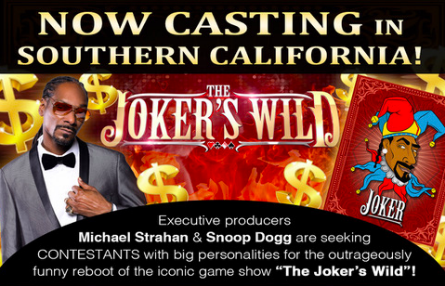 TBS television network recently announced its reboot of classic game show “The Joker’s Wild” hosted and executive produced by famous rapper Snoop Dogg. Casting is now underway and interested parties can now apply! Cara Casting is taking applications for the game show that will be filming in Southern California. We are guessing that since the game show is being produced by Sony Pictures Television, it will most likely take place on the Sony Lot where “Jeopardy” and “The Wheel of Fortune” are also filmed. The flyer also specifically addresses “California residents”. The show is definitely scheduled to shoot in Southern California. Whether or not the show is willing to fly contestants out, is not stated. 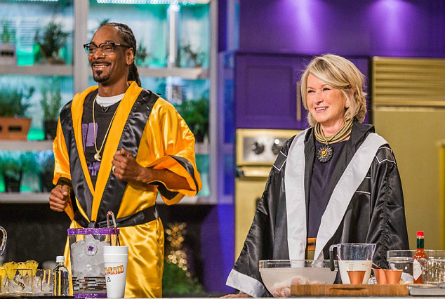 According to the press release, Snoop Dogg, who is not only hosting, but also executive producing along side Michael Strahan (“Good Morning America” co-host and “$100,00 Pyramid” host) will give the half-hour game show a “comedic edge”. Other executive producers on board are from both Strahan’s “$100,000 Pyramid” and Snoop Dogg’s “Martha & Snoop’s Potluck Dinner Party,” as well as Snoop Dogg’s own Snoopadelic Films. TBS plans to launch “The Joker’s Wild” later this year. The original “The Joker’s Wild” aired from the 1970’s into the mid-1980’s, hosted by Jack Barry, then Bill Cullen. The show returned from 1990 to 1991 where Pat Finn took over as host. 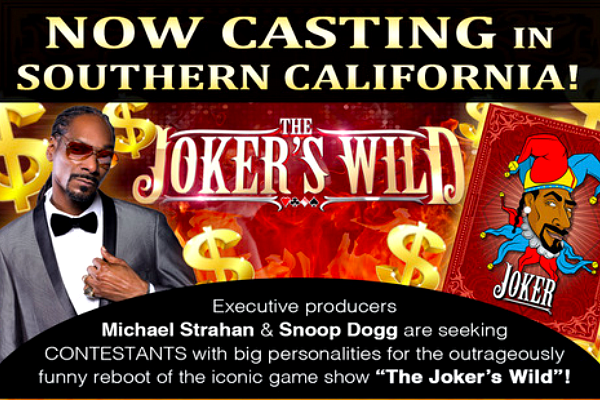 TBS plans to set Snoop’s Joker’s Wild in his very own casino. The traditional show’s slot machine will be the set’s only backdrop and entertaining mini-games will replace the straight trivia questions. Giant dice, playing cards, streetwise questions and problem solving, not just book smarts, rule the floor with all the action is controlled by the one and only Snoop D-O Double G.